Welcome! Our Civic Education section features educational resources and materials for teaching and learning about the judicial branch and its role in our democracy. The Civic Learning Award, co-sponsored by Chief Justice Tani Cantil-Sakauye, celebrates public schools' efforts to engage students in civic learning. The 2018-2019 application is now available. Visit our Civic Learning Award page for more information. 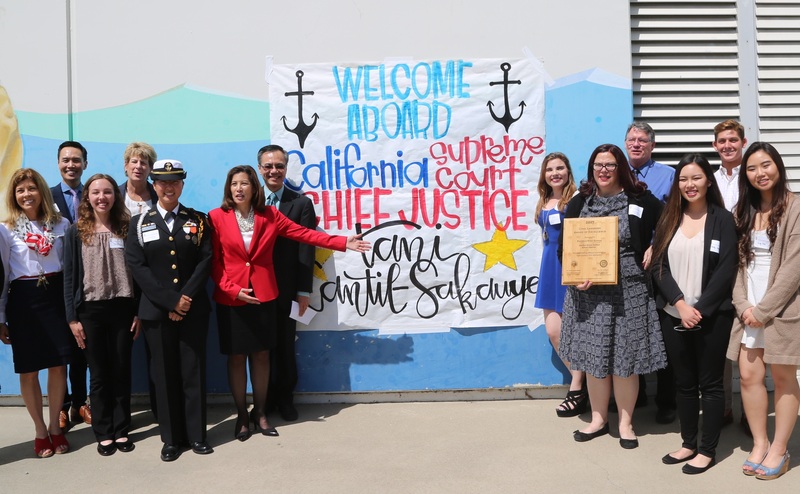 Judges in the Classroom is a pilot program that matches California teachers with judges who can visit their K-12 classrooms to assist with students' inquiries into the judicial branch, the Constitution, rule of law, and related topics. Downloadable handouts about the 3 Branches of Government can be used in any classroom! California on My Honor (COMH) was a professional development opportunity for teachers to learn about the California courts. Click here to access lessons and resources developed by COMH teachers. This California Department of Education website has more law-related education resources: My Digital Chalkboard. Chief Justice Tani G. Cantil-Sakauye highlights the importance of civics, and why it is of special interest to her as leader of the state Judicial Branch. See the full story on the NBC4 Los Angeles website. Learn about the Chief Justice's Civics Learning Initiative.